Canon’s 7D Mark 2 has a powerful and effective autofocus system, with a comprehensive set of controls and adjustments for setting it up. It shares quite similar menu and setup options to those found on the much more expensive 5D Mark 3, 5DSR and 1DX series cameras. This AF system is sophisticated, but well organised. 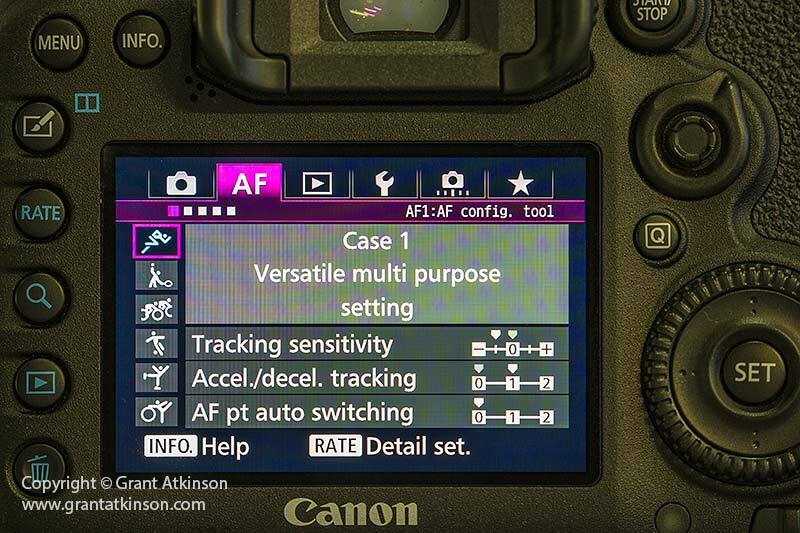 The very first AF menu tab shows what Canon call the six AF Cases. 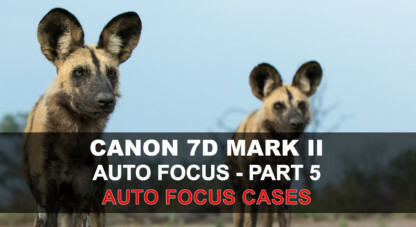 On the 7D Mark 2, the AF Cases consist of six different combinations (presets) of the three different parameters that all have an effect on how Ai Servo performs. These parameters are 1. Tracking Sensitivity, 2. Accelerate/Decelerate Tracking and 3. AF Point Auto Switching. Canon used sport scenarios to describe each case, in an effort to make it easier to choose. I shoot wildlife rather than sports. I also much prefer to work with the three parameters on their own, and gather my own understanding of their function, rather than modifying the cases in place. I have been working in this way with the 5D Mark 3, 5DSR and 1DX bodies for some years now. The first step is to move the three parameters into the Green My Menu tab. That way I can access them instantly, and individually. This takes less time to do than it does to type out this text. Simply go the green menu tab called My Menu, and select Configure. Once you have carried out the selection of the three parameters as illustrated, your My Menu tab should like the image below. Having the three parameters available like this enables me to make quick and easy changes. This setting controls how long the camera will ‘wait’ before refocusing, when a new subject/object moves between the camera and the original subject, or the active focus point is moved off of the subject. An example of this is when you are tracking a bird, and the bird passes behind a branch, momentarily. With this setting on Responsive (+2), it is more likely that the AF will quickly lock onto the branch. 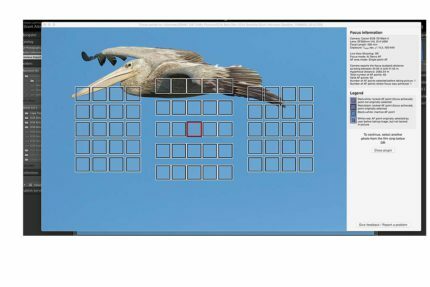 If this setting is on Locked-On (-2), it is likely that the camera will hold the focus for longer, without attempting to re-focus for long enough that the bird can once again be located once the obstruction has passed by and out of the line of sight. Another example of how this parameter can be of use, is for those times when you are tracking a moving subject with an active AF point on that subject, and you accidentally move the camera so that the active AF point drops off of the subject. With Tracking sensitivity set to -1 or -2, there will be more time available for you to re-locate the subject, without the lens having focused on the background. The image above is an example of such an instance. My Single AF point was right in the middle of the frame, but the camera did not immediately try to focus on the blue sky background. 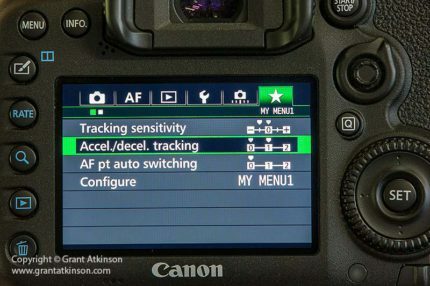 Canon do mention that with Tracking Sensitivy set to the Locked-On side of the slider, it may take the AF a little longer to re-aquire focus if focus is lost. Canon also state that initial AF acquisition is not affected by setting Tracking sensitivity to Locked-On (-1 or -2). Despite what Canon have stated, it is my feeling that having the camera set toward Locked-On, either -1 or -2, may result in slightly slower AF response if a subject is coming directly toward the camera at high speed. If I expect to be shooting oncoming subjects a lot, I may keep the Tracking Sensitivity on 0 or +1. 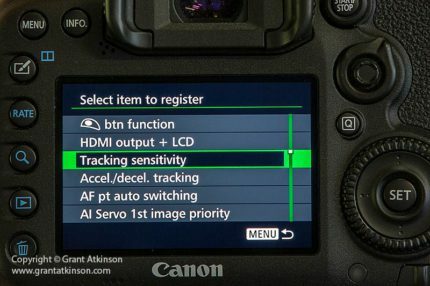 Tracking sensitivity is definitely the most important of the three parameters described here in that it can make a noticeable difference to how stable AF tracking is if you move it towards the negative settings, or Locked-On side of the slider. It can also speed up the AF systems responsiveness if you move it toward the plus or Responsive side of the slider. In my experience, I find myself more likely to slow down Tracking Sensitivity (-1 or -2) when I am using focal lengths of 500mm and upward, and only if I feel that I am dropping focus off the subject too often. When I am working with lenses with shorter focal lengths, 400mm or less, I may leave Tracking Sensitivity on 0 or even +1 if I am expecting really fast, approaching subjects. With shorter focal lengths, it is much easier to keep the focus point/points on the subject, and also easy enough to relocate the subject even if I do move the point away momentarily. This setting allows the AF to be optimized to capture fast-moving subjects that might suddenly stop, or move in a random direction, or rapidly speed up or slow down. The 0 setting for this parameter is suited for tracking subjects that move at a steady speed. Most of the subjects that I shoot accelerate or decelerate whilst i am tracking them. Also, if I have a subject coming towards me, even if that subject is staying at a steady speed, I have to allow for the relative increase in speed the closer to me that subject gets. Think of trying to track a bird flying towards and right by you…your panning motion has to speed up dramatically as the subject gets closer to you and actually passes by. As I like to try and shoot fast moving subjects whenever possible, I have started leaving this setting on (+1) with good results. According to Canon, setting it to (+2) will make it very responsive but also a bit less stable. At the time of writing I have not found need yet of using this setting on (+2). If you are a photographer that prefers to always use the camera in Single AF point mode, (or Single Spot AF), then you can disregard this parameter. 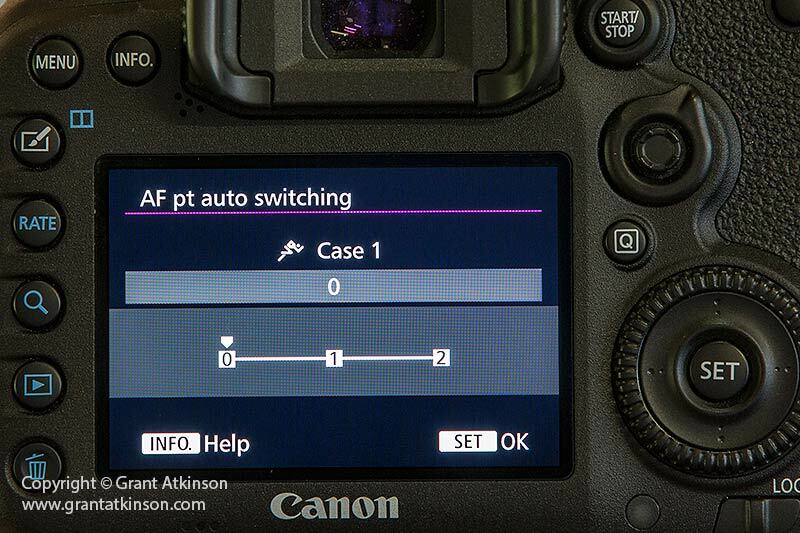 It’s function only applies when shooting with those AF mode options that utilize more than one AF point. On the 7D Mark 2, these are : Expand AF Area (selected plus 4 surrounding), Expand AF Area Surround (selected plus 8 surrounding), AF Zone, Large Zone AF and Auto Select 65-Point AF. AF Point auto switching controls how rapidly the AF will switch to a new AF point whenever the initial or primary AF point (again, only when there is more than one AF point) leaves the subject. It will rapidly switch to surrounding AF points to continue to follow the subject. 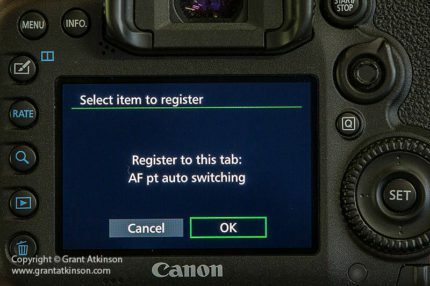 The (+1 and +2) settings are used when shooting subjects with faster, erratic movement in any direction,whilst the (0) setting provides a more stable switching of AF points. 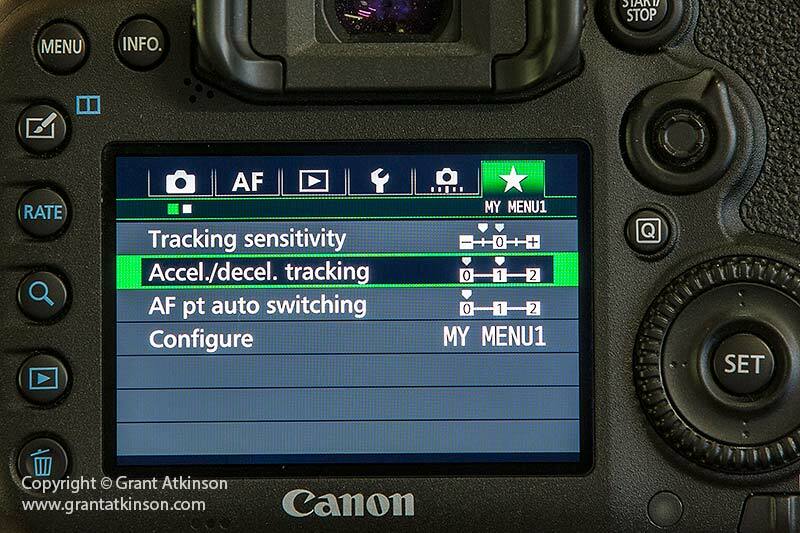 To date, I have not felt the need to change this setting from (0) on either the 7D Mark2. I tend to shoot mostly with a single manually selected AF point, but I also use do sometimes use the AF Zone grouping on both cameras, and have found the point switching to be fast enough to date on the (0) setting. 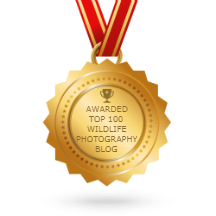 I am a guide and a photographer, with a deep interest in all things to do with nature. I am based in Cape Town, South Africa, but travel often to wild places whilst leading photographic safaris, and enjoying the outdoors. 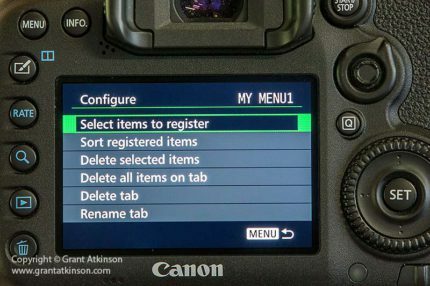 This is an excellent explanation of the functions available in in the Case settings, and how you customise them for your individual needs as a wildlife photographer. I do actually have mine (like you do) in the ‘My Menu’ so I can access and tweak them as necessary. But hearing you explain which ones you use and why (based on your in the field experience) is very, very, useful. I’m going to be photographing some fast moving birds very soon, so the article is very timely. Thank you for sharing your wealth of experience with us. Hi Grant, a very informative series of articles…. All this makes me desire a camera with great autofocus like this! I currently have a Canon 6D and a 70D, the latter being the camera I mostly use for wildlife (except when it’s low light), paired with a 100-400 mkii. I’m thinking of upgrading one of them to either a 7D mkii or a 5D mkiii in search of better auto-focus for moving subjects. I see you shoot with both, do you have any advice to help my decision making? Obviously the 7d mkii is much cheaper, though I am wary of its low light capabilities. It’d be great to hear your thoughts. Many thanks! Both the 7D Mk2 and the 5D Mk3 have really good AF for moving subjects. But, the 7D Mk2 has a sensor half the size, and with tiny pixels (just like the 70D). So in a direct comparison with the 5D Mk3, the full frame camera makes it easier for me to capture pixel-level sharp images of subjects that are moving fast, perhaps more due to the optical characteristics of small pixels (7D Mk2) versus larger pixels (5D Mk3) rather than actual differences in the two AF systems. By small pixels i refer to the individual pixel size of the 7D Mk 2 of 4.1 microns and the 5D Mk3 at 6.25 microns. In very good light the difference is less. In low light the difference becomes greater. I also find that the longer the focal length I am using the more I notice a difference, and the faster the subject matter is going, the more of a difference there is. That is just my experience :-). There are differences in how each photographer evaluates their images as well, what one may consider acceptably sharp might be differ from another. Viewing sizes of the images also play a big role. I find it a complex topic to try explain because there are so many variables and opinions, but I have no difficulty in choosing the 5D Mark 3, if you want pixel-level sharp, shots of fast to very fast-moving subjects. Great thanks Grant – that’s really helpful. Using your explanation I guess that means the new 80D, which has a higher resolution sensor than 7dmkii, won’t be much better in terms of image quality for moving subjects? Either way it looks like I should get saving for a 5Diii. Have heard rumours of a 5D mk iv coming later this year, so hopefully prices for mark iii will be decreasing! Thanks again. Hi Tom, I would agree with that expectation. Of course by moving subjects I refer to really fast ones, like fast birds in flight, or wild dogs on the run, where you have high speed, as well as some small but frequent subject motion. For slower moving subjects or those that are moving predictably, like motor vehicles, or aircraft, I manage just fine with the 7D Mark 2. It can also depend a bit on how deeply you examine the images. Viewing the downscaled images on a laptop screen often won’t be enough to reveal differences in sharpness, it may be they only show at 100 percent magnification. For many photographers it might not be necessary to concern themselves with 100 percent viewing. With reference to the 80D, i have not been able to shoot with one yet, but intend to. I have used the 760D a bit already (similar 24mpix APS-C resolution) and nothing I saw there led me to expect any different. Slightly harder yet than the 7D Mark 2 even. Hi again Grant, I’ve been thinking about this pixel size and AF tracking issue further…. (I realise i should have something better to do!). By the same logic as above, I guess that would make the 5D mkiii a more effective camera for moving subjects than the higher resolution 5D S(R) (which presumably has small pixels, given there are more of them on the same-size full frame sensor as 5Diii)?? 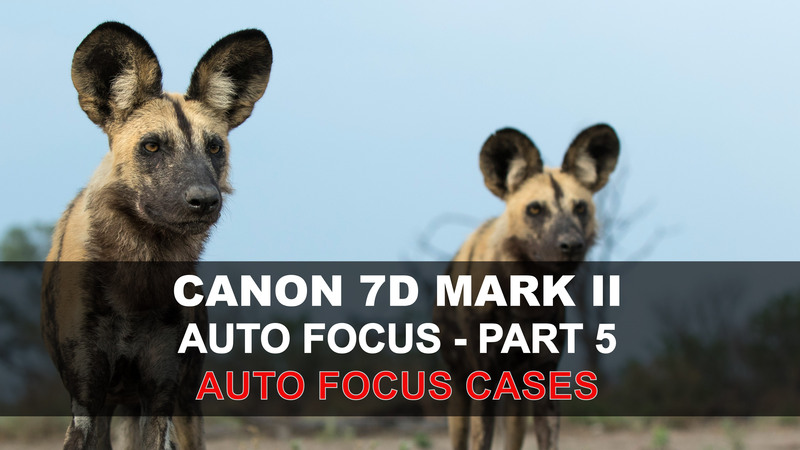 I would not think of it as an AF tracking issue – the AF on the 7D Mark 2 works great, and equally so on the 5DSR, which I have been using quite a lot recently (on some fairly fast flying seabirds, and on cheetah hunting, amongst other things). The 5DSR (4.1 microns) pretty much has the same size pixels as a 7D Mark 2 (4.1 microns) and it is about the same when it comes to keeper rate for really fast-moving subject matter. But, this is only visible at pixel level, and if you are comparing a full frame 50mp capture from the 5DSR to a 22mp full frame capture from the 5D Mark 3, I am unlikely to notice the pixel level difference if I am viewing the images on my 23 inch editing screen, as they are downsized to fit on the 1920 x 1080 display. Unless I zoom in to 100 percent. It is easy to compare the 5DSR and 5DMk3 in this way because they are both full frame. When you are downsizing the 5DSR image, because it has 50mp, it is being subject to more than two times as much downscaling than the 5Dmk3, to fit on the 1920×1080 screen. Another way to think of downscaling and how it makes images look sharper is to think of your 70D, and how viewing an image on the rear lcd at viewing size might make it look great (at one megapixel) but when you zoom in or download it to the computer you only see how poorly focused it was? Canon has some literature on this, but only a little here and there. It is also why the 7D Mark 2 and 5DSR have special, low vibration mirror/shutter mechanisms, because they are more likely to show motion blur. Although I don’t fully understand the science behind what happens with movement and small pixel cameras, and a lower rate of fully sharp shots, it would seem to come about because subject (or camera movement) will register on two small pixels rather than on one twice as large pixel. This may be an oversimplification. In theory doubling the shutter speed over what would be a norm should get the keeper rate up but it is not always that easy :-). I am also always cautious what i write on the internet but I only experience that lowered keeper rate when things are moving really, really fast, and are not moving in a smooth or predictable manner. Thanks Grant, it’s given me lots to think about! My natural inclination was to assume that the higher pixel density of 7Dii or 5DS would be better for wildlife photography than the 5Diii due to enhanced detail, but seems this isn’t necessarily case case for fast moving subjects. I’m erring towards a 5Diii to replace my 6D as it stands (or of course stop worrying about kit and spend my cash on a trip to actually practice taking better photos!). Thanks, Tom. You are fortunate in that the two cameras that you currently own both have good sensors, and are pretty close to the two cameras that you mentioned you were interested in. The 70D sensor and the 7D Mark 2 are not very much different..the 7D Mark 2 may be a third of a stop cleaner. The 6D actually is a little cleaner on a pixel level than the 5Dmk3 but the 5d3 gets some back if you take into account the extra res..either way they are close. So you have experience of small pixels on the 70D sensor (4.1 microns) and the 6D (6.2 microns). I do think that a 7D mk2 and a 5D mk3 will both offer superior levels of AF accuracy – when compared to the respective bodies that you already own but I would go for the 5Dmk3 if i had to pick one. On the other hand, perhaps replace the 70D with a 7D mk2 (which will be the least outlay) and then you still have the 6D for low light.. I have just acquired a 7D Mk II and trying to wade my way through the functions of this animal I really appreciate the clarity of your explanation on the AF options. I still have a way to go but I hope your article will contribute to reducing my “miss rate”. Being a bit older, to grasp things fully I find I need to read things through more than once so a “hard written” article supplements videos very nicely. Always loved your stuff, in particular your Video Tutorials. 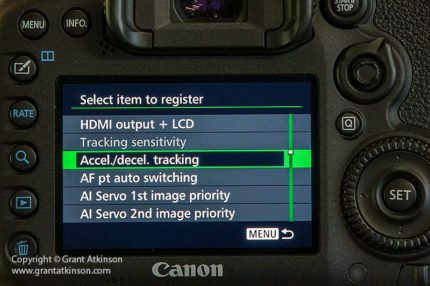 So Grant question time please and they revolve around the 7D Mk 2, so you’ve set up your 3 different parameters and configured that in “My menu” does that become the Camera’s Default setting on Case 1 or not ?? I suspect not but your reply will be most interesting. I use my * and AF-ON Button’s as two of my rear/back focus buttons, I have case 3 set up with the * button with -2,2,2. as my settings with that Case 3. I use center focus plus the four outer focus points with that as well. 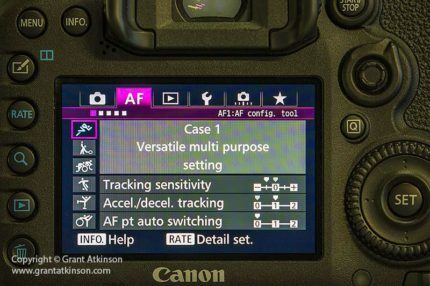 With the AF-On button, I use Case Five of the camera’s settings as they were set when the camera came out the box, 0,0,1. I use the center plus eight focus points with Case 5. I also use the Shutter button as a focus and shoot button as well with the camera on case 1. As you can see that’s quite a lot of stuff going on when I’m shooting. So with that all said, it leads me back to the original question of what is the camera’s default setting and does your “My Menu” setting override everything other than my ‘Back Focus Button’ settings. Thanks again for all your informative Tutorials. So, whatever I set the three parameters at, in ‘My Menu” becomes the new Default setting in Case 1, as you mention above. It would seem then that My Menu settings equate to Case 1. 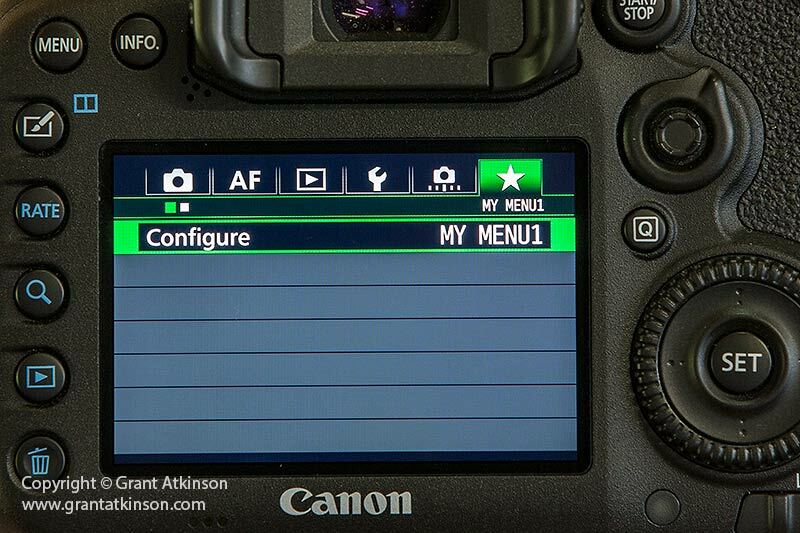 I have one thing I am not clear with in your setup, if the Shutter Button is set to be able to drive AF and Metering, there are no additional options in the Custom Controls menu to ‘attach’ or add any extra functions to this. If you are using Shutter Button to focus and drive AF and meter, then you would have to have Case 1 set as your default, either via the Green My Menu or by selecting it from the Pink AF menu. 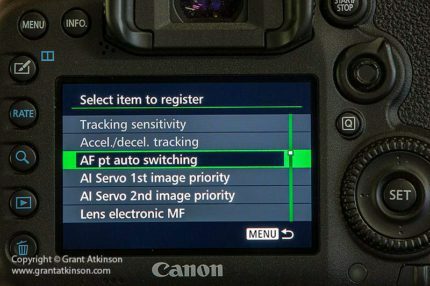 That way, using the Shutter button to drive AF and shoot would be your default in Case 1 if you switched on the camera and started to shoot with it. I believe that the My Menu setting overides other AF settings unless you engage them via a Custom function button. I have one more query regarding your setup – if you have back button focus set up to work on the AF-On button and the Star button, and you then trigger the shutter with the shutter button, set as it is for AF and Metering (and your Case 1 default) then the AF is going to be driven again right up until the image is taken. if you are looking to use Back button focus to lock and recompose, then the setup explained above will be overiding it. 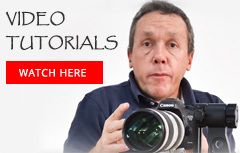 I just watched these videos on the 7d mk2. I bought a used one just before my Australia trip. Your directions are so easy to understand, as always. Thanks for doing these! Just what I was looking for. Thank you so much. I have been very puzzled over these CASE tracking options on my 5DIV. This helps me as I am thinking your descriptions can be taken into consideration when setting up my camera for photographing wild horses on a sanctuary. I have been doing some bird photography and marine wildlife, but have been keeping my settings to default until I could get a further understanding. I do fine with the marine wildlife, but bird photography, I am only getting about every 10 shots in focus, if that. So I hope to apply your article here to my camera and see if it doesn’t make a difference – I hope so. 🙂 Question, for photographing wild horses from a distance, should I leave it in CASE 1 as well and apply the individual settings per what you recommend on a lighter side though? Thank you so much again for this. I would imagine that photographing wild horses would not be too different to what I typically shoot. 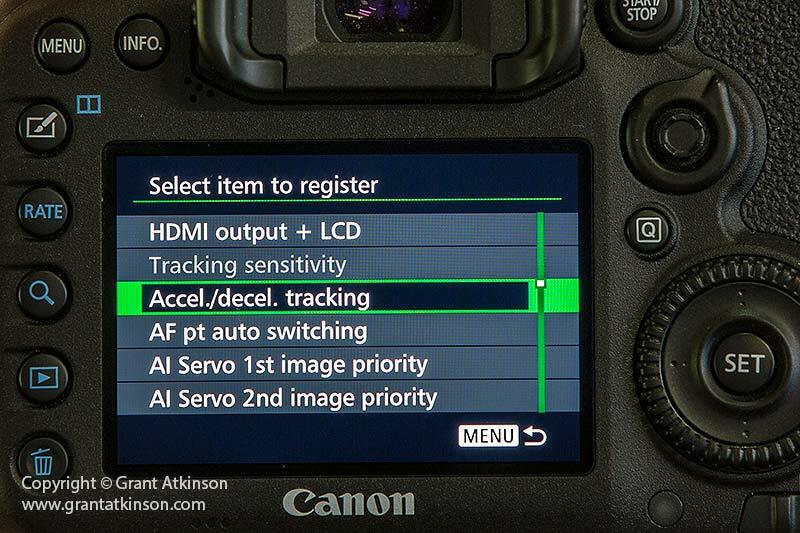 Also, the setup of the 7dmk2 is quite similar to the 5dmk4 in most regards when it comes to autofocus. What would help me in offering an opinion on your bird photography would be to share with me what lenses you are using with your 5d4? Copyright 2018 - 2019, Grant Atkinson.Developed by Biggestleafmedia.